Jhene Aiko. Photo by Leon Laing. Jhené Aiko could win up to two Grammys next month. She earned Grammy noms in the best R&B song category for “The Worst” and best urban contemporary album category for her Sail Out EP. On Dec. 5, Aiko won the hearts of the audience during her concert. The rainy and frigid night didn’t stop fans from packing Philadelphia’s Electric Factory. Before the Sade protégé came out on stage, a crew adorned the stage with pillows and faux candles. 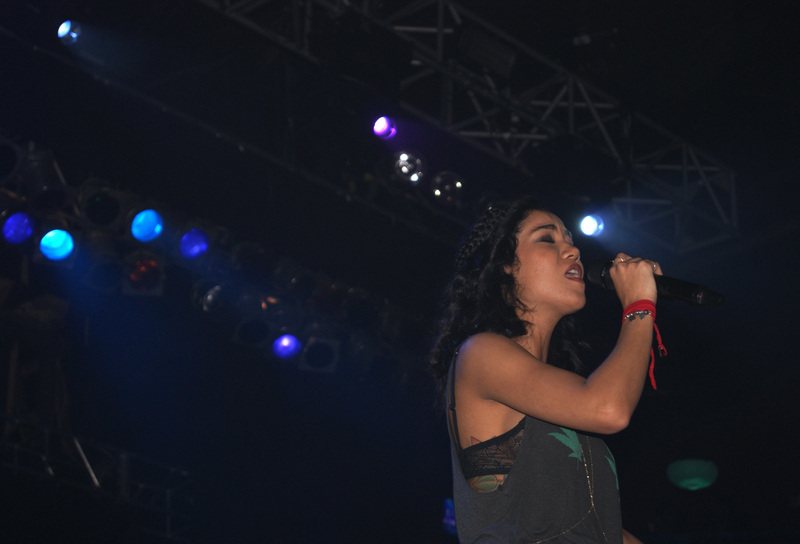 The crowd cheered when she spat bars for Kendrick Lamar’s verse during “Stay Ready.” Aiko gave a heartfelt performance for “Comfort Inn,” and the tempo for “Eternal Sunshine” was sped up a little. Watch her new video for “Wading” here. The concert’s lineup consisted of alt and laid-back R&B songstresses. But with her fiery performance, including some gyrating, Sza got turnt up. Purple lights illuminated the stage on “Ice Moon,” a song that gave her the opportunity to become the first lady of Top Dawg Entertainment. She left the stage for a short period of time, but she returned. The reason appeared to be health related. By the time I arrived at the show, Willow Smith was on stage already. I’m sure she was proud to perform in her father’s hometown.